Western Horseman was selected for its many years of editorial support by fostering the sport of professional rodeo. 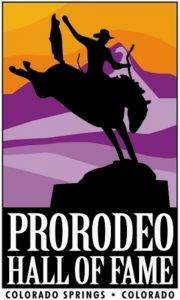 This dedication to marketing and promoting the Professional Rodeo Cowboys Association and the ProRodeo Hall of Fame has been a significant factor in advancing the popularity of the sport, developing new fans, informing the general public and bringing to the forefront the stories of the PRCA. This commitment to preserving the heritage of professional rodeo in true pioneer spirit is greatly appreciated. The publication began in 1936 near Lafayette, Calif., when Paul Albert published the first issue of the magazine that served as a “voice for the horse.” After relocating to Reno, Nev., for a few years under new ownership, the magazine was moved in the late 1940s to Colorado Springs, and then in 2010 moved again, to its current home of Fort Worth, Texas.